Driven by a a trend of increasing household equity, the total value of the residential housing market nationwide rose to $22.7 trillion as of the end of Q2 2015, according to the Urban Institute 's Housing Finance at a Glance report for September 2015  released Friday. Household equity has increased each quarter for the last two years, including a 3.4 percent jump in Q2 up to $12.76 trillion, according to the report. Total debt and mortgages also ticked up slightly in Q2 to $9.90 trillion; combined with household equity, those two categories make up the $22.7 trillion mortgage market. The findings of the Urban Institute on homes regaining equity were in line with CoreLogic's household Homeowner Equity report for Q2 2015  released in mid-September. Corelogic fond that more than three-quarters of a million residential properties regained equity in Q2, bringing the nationwide total of mortgaged residential properties with equity up to 45.9 million (91 percent). Meanwhile, the number of residential properties with negative equity declined to about 8.7 percent, or 4.4 million properties (a drop of about 1 million from a year earlier). CoreLogic found that nearly one-third of the country's negative equity (31.7 percent) as of the end of Q2 was concentrated in five states (Nevada, Florida, Arizona, Rhode Island, and Illinois). The continued decline in homes with negative equity prompted CoreLogic president and CEO Anand Nallathambi to declare that "the negative equity epidemic is lifting" for much of the country. "The biggest reason for this improvement has been the relentless rise in home prices over the past three years which reflects increasing money flows into housing and a lack of housing stock in many markets," Nallathambi said. "CoreLogic predicts home prices to rise an additional 4.7 percent over the next year, and if this happens, 800,000 homeowners could regain positive equity by July 2016." 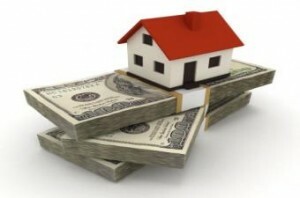 According to the Urban Institute, agency mortgage-backed securities (those with a guarantee from a government agency such as Fannie Mae or Freddie Mac) comprised about $5.7 trillion of the residential mortgage market at the end of Q2. Unsecured first liens accounted for $2.9 trillion, while private label securities and second liens accounted for about $0.7 trillion each.